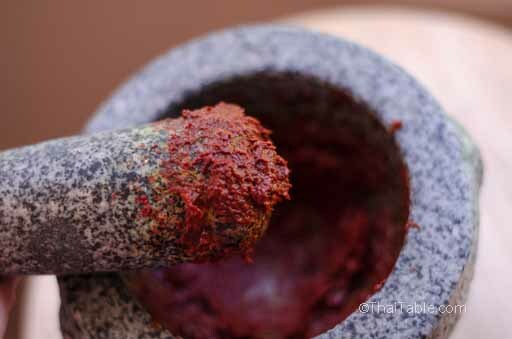 Cheat: In a pinch, I use ground chili pepper that I have from making kim chi. It takes out the heavy grinding part. Use Anaheim peppers for milder taste. Use smaller chili peppers for extra heat. You can also use a combination of the two. The amount of chili peppers really depends on how hot you like it. 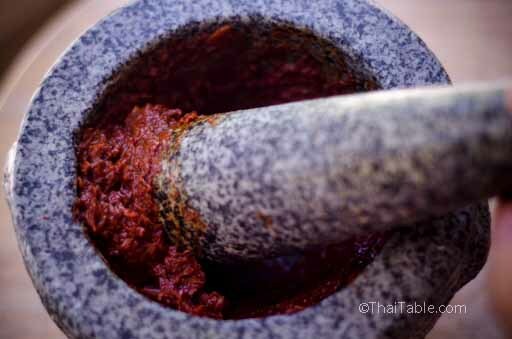 The amount of ingredients are flexible but use maximum 1 teaspoon of shrimp paste. Use more shallots than garlic. You often see Chinese keys used in Thai cooking when one of the ingredients is fish. It's optional for sour curry paste. My mother loves it. I usually don't use it. 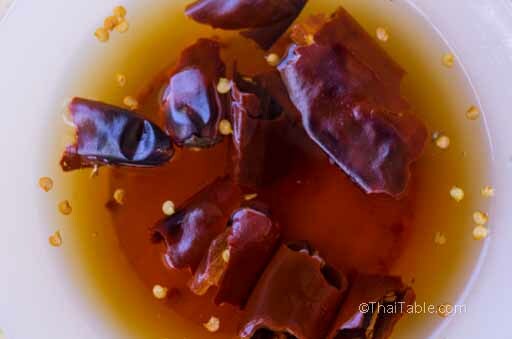 Cut up the dried chili peppers and soak in warm water for at least 15 minutes or until soft. Peel and slice garlic and shallots for easy grinding. 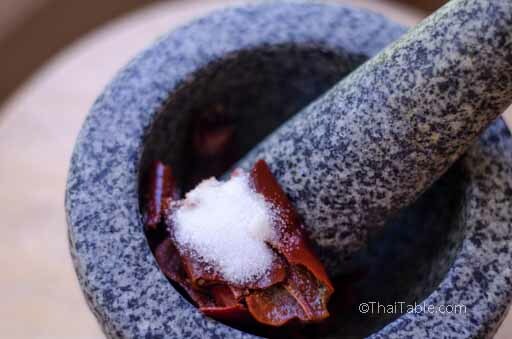 When the peppers are soft, squeeze out the water and place them in a mortar. Add salt, which helps with the grinding. You can add more salt than what's called for, but remember when you season your curry that salt is already in the paste. Grind the peppers until the paste becomes smooth. It may get watery and splatter. Cover the mortar opening with your hand to lessen the splattering. Add Chinese Keys. Make sure you rinse the Chinese Keys really well to get rid of any dirt. I use the frozen ones and found a lot of dirt. Pound until mixed in. Add sliced garlic and shallots. Pound until smooth. Add shrimp paste and pound to mix it in. The curry paste should be smooth, wet and orange in color. There should not be chunks or recognizable ingredients. 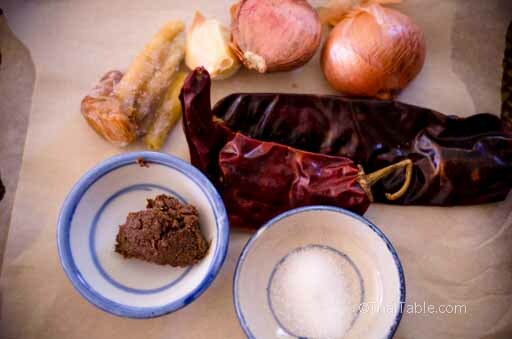 Keep the curry paste in the fridge for a week or a year in the freezer.